Police are concerned about the welfare of missing 25-year-old Georgina Marden who might be in East Sussex. She was reported missing from an address in West London on September 14 having last spoken to family members on September 3. Georgina is described as white, 5’ and slim with very long brown hair which she normally has in a ponytail. She often wears shorts, leggings or jeans with a hooded top and either trainers or flip flops. 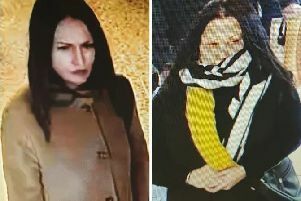 Missing persons co-ordinator Shannon Marchesani said: “We are concerned about Georgina because this is out of character for her and we would like to make sure she is ok.
“While she has family in East Sussex it is also believed she could be in West London.